The kitchen is the heart of the home, especially when it come to feng shui. Your cooking space is where you nurture and sustain your life by preparing meals day in and day out. When thinking about how to design a new kitchen, or update your current one, feng shui can help you create a harmonious space that supports your health and well-being. Feng shui kitchen paint colors are an important part of creating an efficient, yet calming kitchen where the chefs in your home can thrive. White, yellow, blue, green, beige, red and orange are all important feng shui kitchen paint colors, but it's helpful to understand how to use them. White is popular go-to color in most kitchens, and it's a great shade to start with when using feng shui in your home. A symbol of cleanliness and purity, white makes sense in the space where you'll be making many meals. Since it pairs well with every color, it can create a blank canvas that you can accent with warmer shades to keep the room from feeling too stark and cold. Consider using white on your walls and cabinets and adding warmer accents via your countertops, backsplash and window treatments. Creamy neutral shades such as beige, oatmeal, khaki and other earth colors also work well in the kitchen. According to feng shui principles, they can bring stability to a household and will help you have a harmonious cooking space. Warm and comforting, they pair well with many other colors and will make your kitchen feel cozy. Yellow is another popular feng shui kitchen color. Believed to promote socialization, it can create an uplifting and cheerful space for you and your family to enjoy meals. Choose a light or golden yellow that's soothing and stay away from shocking shades that might agitate people. Believed to curb hunger, blue is a smart shade for families that are watching their weight. A soothing shade, blue has an ethereal feel and can instantly calm a busy space. But use blue in small doses. Feng shui experts believe that using too much blue can take away from the beauty of your food. Green is another popular kitchen color and according to feng shui, it promotes digestion. Choose soft and earthy greens to help create a relaxing space. To enhance these earthy tones, put a living plant or two in your kitchen as well. 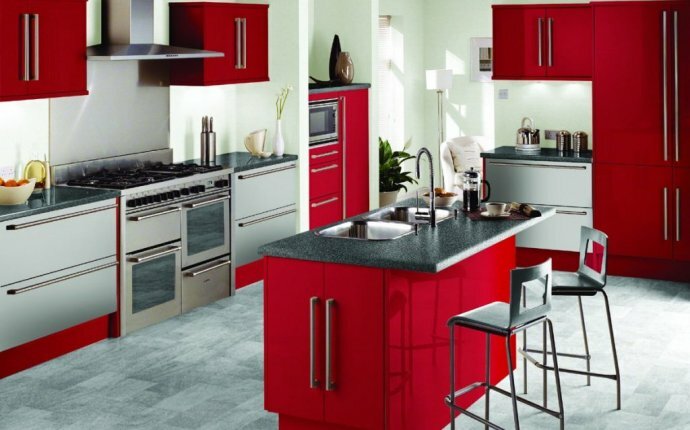 Red is another popular kitchen colors, but some feng shui experts believe this fiery shade can create an imbalance in the kitchen when used in large doses. Use a more neutral color throughout most of the room and rely on red as an accent. Bow Valley Kitchens designs and installs custom kitchen cabinets with showrooms in Calgary and Canmore.